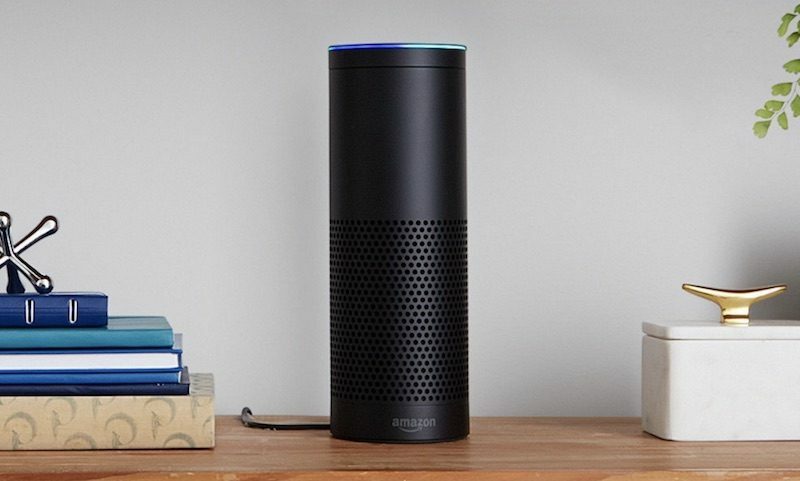 For the past couple of weeks, speakers equipped with Amazon's Alexa voice-based personal assistant have been randomly laughing, scaring and creeping out speaker owners who have affected devices. A friend of mine at work just a couple of days ago told me this very thing happened at his moms house. He was face timing with his her(he jokes she is jealous of Alexa, his dad just loves it) and out of the blue in the background Alexa started to laugh, he even heard it on his end. Said it was super creepy. I'm waiting the have the holy hell scared out of me one quiet evening...or even worse, awakened by the one a foot from my head while I'm sleeping. In a statement provided to The Verge this morning, Amazon said that it is aware that some Alexa-enabled devices are randomly laughing and a fix is in the works. "We're aware of this and working to fix it," Amazon said. Customers who have an Alexa-enabled device and are creeped out by the random and unprompted laughs may want to turn off their speakers until Amazon is able to locate the issue and push out a fix. Update: Amazon says that in "rare circumstances" Alexa mistakenly hears the phrase "Alexa, laugh" which causes the creepy laughter. Amazon is changing the phrase to "Alexa, can you laugh?" to cut down on false positives. Its happening, the AI revolution is upon us!! Get these creepy spy devices out of your home. Put phones in a faraday bag at night. Remove / disable smart device crap (they are never “smart”, just slow). Little Snitch/Micro Snitch all the Macs. Was the user named Sarah Connor?